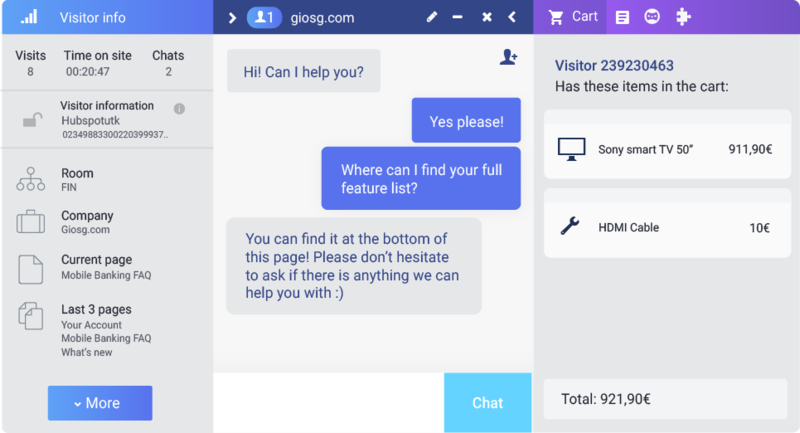 In this guest article, Nea Bjorkqvist from giosg looks at how brands can use live chat and AI to improve customer engagement. It’s no secret that consumers are evolving rapidly. They have become more demanding, impatient, and at the end of the day, quite spoiled for choice. This means businesses have to fight more than ever before to capture their attention online. But just sparking an interest isn’t enough, you need to be able to provide authentic content that engages and delights them. If done successfully, chances are, you will significantly increase your online conversion and minimise your website’s bounce rate. With some experience, we can say it is much easier said than done – so we’ve come up with three concrete steps you can take to help boost your online engagement. Tracking visitor data is the hallmark of creating better online engagement. Why? Because it makes it possible to gain valuable insight into your online visitors’ behaviour. Not only that, with this data at hand, you can give your visitors the right content at the right time which ultimately results in a far better personalised experience. The more data you are able to collect, the more insight you will have into the needs of your website visitors. We do this with AI. By tracking millions of online behavioural patterns such as page visits, time on site and returning visits, we are able to train a machine learning system to build a predictive model, which we call predicting conversion probability (simply put: how likely a visitor is to convert). 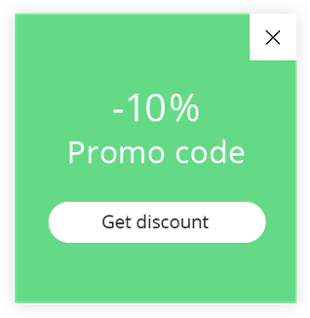 Target, as we call our AI software, tracks visitors, checks their historical data and uses it to determine the optimal personalised intervention to maximise the chances of conversion, whether that is providing live assistance, offering a discount code, a limited-time offer, etc. With the help of Target, one sportswear and equipment retailer was able to increase conversion in their online store by almost 7%. This is a significant result, as conversion rates for online stores are typically 1-3%, which means that for every buyer there are 30-100 visitors that only browse and end-up buying nothing. After getting the data on your visitors, its time to showcase your brand in a way that matches their actual interests. Let’s face it – personalisation is one of the best ways to keep your visitors’ fleeting focus, consumers today want instant answers and only want to consume content tailored to their interests. Providing the wrong content can even directly affect their decision to stay on the designed journey. But how can you prevent this from happening? As mentioned above, there are machine learning models that identify whether the visitor is likely to engage with an industry-specific bit of content or a live chat conversation and deliver it accordingly. AI doesn’t need to be just a buzzword, it can genuinely help deliver the hyper-personalisation that the modern customer craves. Another cool tool out there is customer pattern recognition which works the same way – by using the same idea for personalisation as a website recommendation tool, identifying blog posts, news, videos, etc. that a visitor has shown interest in and making suitable recommendations on their feed. So again, only providing the visitor with additional information they would actually want to indulge. The final piece of this puzzle is the ways in which you choose to captivate your online visitors, or as we like to call them, engagement actions. One of our favourite and perhaps one of the most powerful in enhancing conversion probability is live chat. Live assistance is an efficient customer service tool for your existing clients (which in turns encourages loyalty), but it can also serve as a conversion tool, offering it to your potential buyers at the right time can really make the difference in their decision-making process, particularly with high value or complex products or services. The benefits of live chat as a customer service tool are well known, it’s the generally the preferred method of contact for most customer groups, particularly among younger demographics, but did you know it’s actually five times more effective than traditional channels like email or phone? And it’s way more cost-efficient than other channels, a customer service agent can manage up to five chat conversations simultaneously, whereas they can only handle one phone call or email at a time. Not to mention that it’s also a great personalisation tool, as it allows you to actually recognise and greet each of your visitors with a message that matches their unique situation. Since setting up their live chat channel, Finnair has managed to shut down several costly email channels and they now process 16,000 of their monthly contacts through live chat, with their best agents handling up to seven simultaneous discussions. They have also achieved a 70% resolution rate across all their chats and aim to respond to every message in under 10 seconds. It’s clear that engaging the modern day consumer isn’t a simple “flip of a switch” and really captivating them is tough in this overcrowded market. Can you believe that the average attention span of a consumer is about 8 seconds? Personalisation is no longer something special, it’s a fundamental requirement in today’s e-commerce environment. Delivering the right content at the right time is key in delivering those high-quality touchpoints. And as a market we have understood that AI can help us deliver much better customer experiences – a study by BrandGarage and Linc revealed that 87% of the businesses surveyed said they expected to increase their use of AI in customer service over the next 24 months. Tracking visitors and their behaviour and using available AI and machine learning developments to help you predict what makes them tick and taking the right engagement actions can really make the difference, so why not give it a go? Previous articleCan Augmented Reality Improve The Buying Process Online? From industry insights to be best practices guides, our Guest Bloggers bring cutting edge e-commerce and digital marketing discussions to the table. Want to add you voice? Drop an email to Hello@SaleCycle.com!